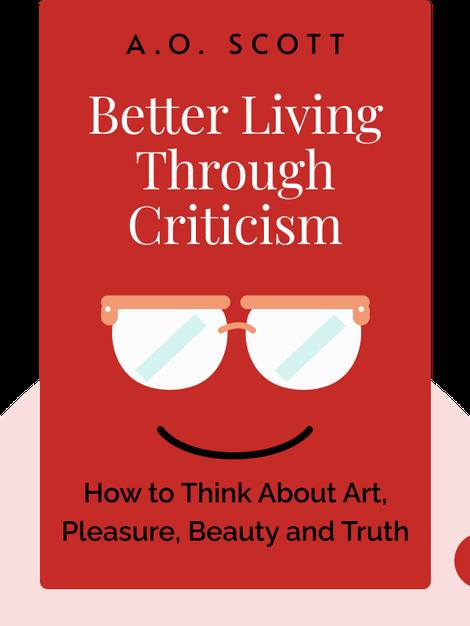 Better Living Through Criticism (2016) explores the role of the critic. 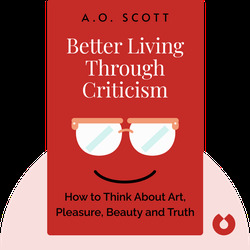 From the historical significance of criticism to the future of the digital critic, these blinks are an engaging introduction into an indispensable aspect of art and culture. A.O. Scott became a film critic for the New York Times in 2000 and was named Chief Film Critic in 2004. In addition, Scott is a distinguished professor of Film Criticism at Wesleyan University and writes for the New York Times Magazine and Book Review.